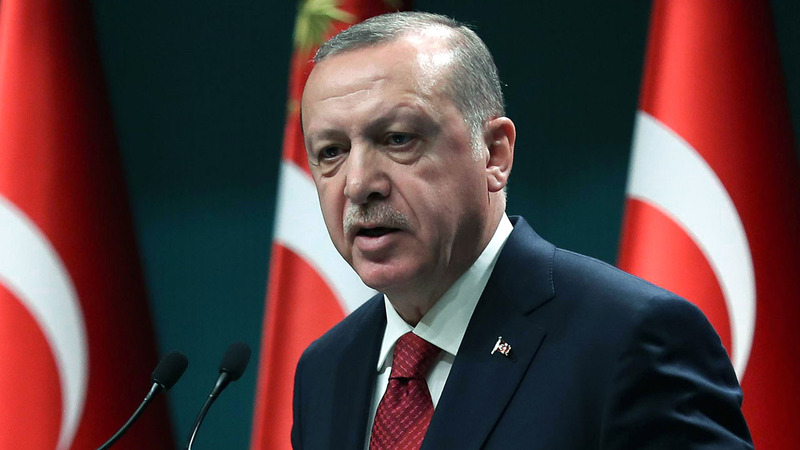 Turkish President Recep Tayyip Erdogan on Sunday slammed the crash of the lira amid a widening spat with the United States as a “political plot” and said his country would instead seek new markets and new allies. “The aim of the operation is to make Turkey surrender in all areas from finance to politics. We are once again facing a political, underhand plot. With God’s permission we will overcome this,” Erdogan told his party members in the Black Sea city of Trabzon. The embattled Turkish lira tumbled over 16 percent to new record lows against the dollar as strains with the United States intensified over a number of issues including the detention of a pastor as well as Washington’s cooperation with Syrian Kurdish militia force in the fight against Islamic State. “We can only say ‘good-bye’ to anyone who sacrifices its strategic partnership and a half century alliance with a country of 81 million for the sake of relations with terror groups,” Erdogan said. US President Donald Trump said Friday he had doubled steel and aluminium tariffs on Turkey, which pushed the Turkish lira to new historic lows against the dollar. The White House said the newly imposed sanctions would take effect from August 13. Turkey remains at loggerheads with the United States in one of the worst spats between the two NATO allies in years over the detention for the last two years of American pastor Andrew Brunson and a host of other issues.